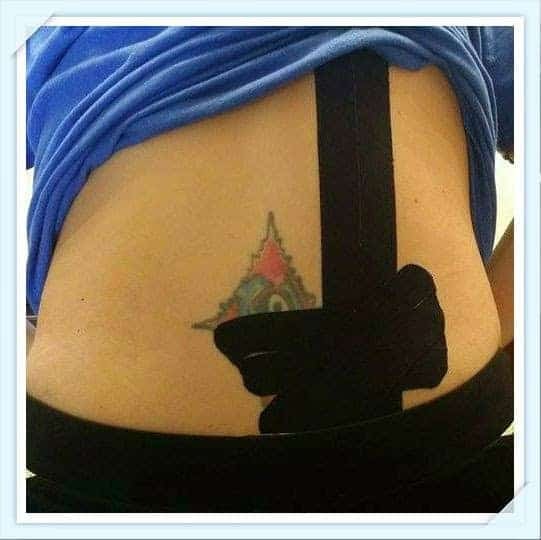 Have you heard of Kinesiolgy tape? It’s also known as 5KTape. I have never heard of it until I recently got the opportunity to try it. Kinesiology Tape was invinted by a Japanese chiropractor named Kenzo Kase in the 1970’s. This tape can help alleviate pain, reduce inflammation, relax muscles, enhance performance and help with rehabilitation. It will also help with supporting your muscles without restricting movement. The strips of tape are placed over the muscles that are injured or strained. It supports the muscles, improves blood flow, reduces injury, and helps improve performance. 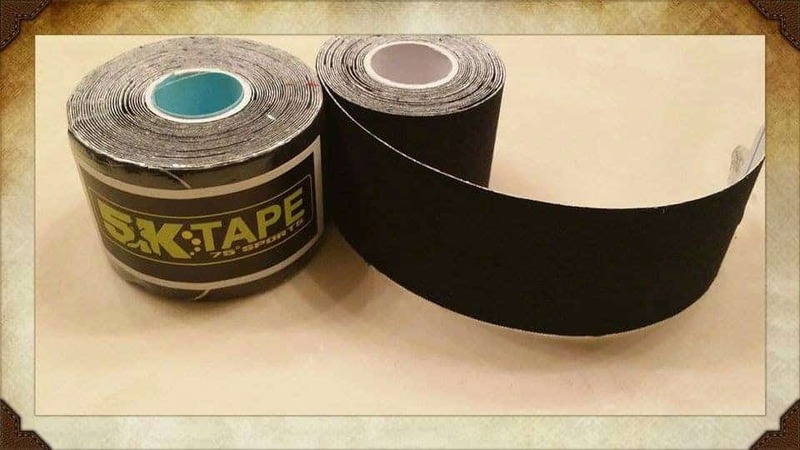 The 5KTape is latex free, hypoallergenic material and breathable. It is made of 95% cotton and 5% nylon. This particular tape is 2″ width x 16.4″ length and precut to 20 “I” and “Y” shape pieces per roll for quick application. I love the fact that it is water resistant so you can wear this for approximately 2 to 5 days. The 5KTape is beneficial for everyone. Many people besides athletes use it. I’m not an active person at all but recently I ended up with twisted hip. I have been wearing this tape and have noticed tremendous relief. I am very amazed at how this tape really works. I researched on where I should place the tape for my particular injury. It was very easy to apply. I applied 3 strips to my back right side. I just applied in a crisscross pattern and then rubbed the tape to activate the heat backing. The not so easy part was trying to take a picture of my backside so I could post for my review. 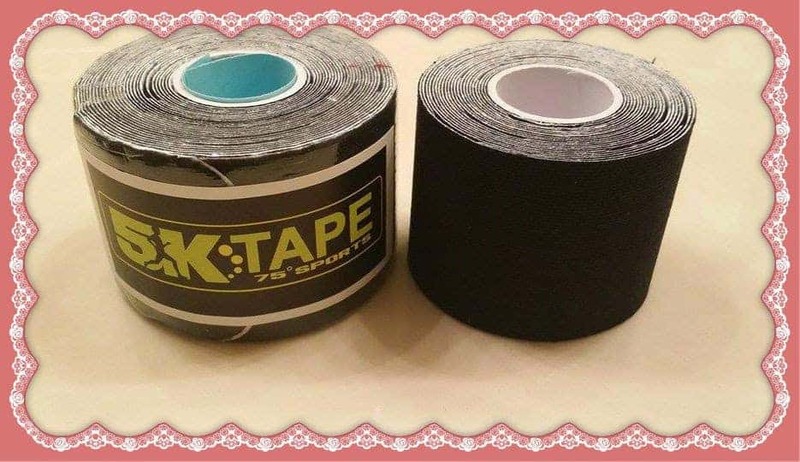 I’ve been having tremendous pain because of my twisted hip and I am so excited that I found this 5KTape. It has taken pressure of my back and lower stomach. I will definitely be using this from now on. This sounds really cool, i'm going to have to get some to try for myself. Thanks for the great review!